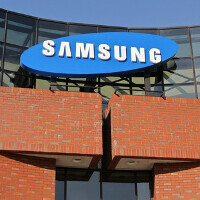 A Samsung mobile device with the model number of SM-375S has received its Bluetooth and Wi-Fi certification. So what kind of product is Sammy prepping for release? According to a report published today, the SM-375S number appeared on Indian import-export tracking site Zauba, which revealed it to be assigned to an 8-inch tablet. Two units of the new slate were shipped into India on December 7th for testing and evaluation. The listing notes that the tablets will be destroyed after going through the tests, and assigns a value of $103 USD on each one. While that won't be the final price of the tablet, it does indicate that we are looking at a low-end model. Now that the tablet has cleared the Bluetooth SIG and the Wi-Fi Alliance, Samsung has several more steps it must comply with before making this new tablet official. Again I say, Alan F. Merry Christmas!!! Please Bring back Note series with premium design!!! !